The Felix Foundation Baltistan (FFB) is a non-profit organization working in the Hushe Valley, Baltistan. We are now inviting firms and dealers to tender for our Humanitarian Aid Project. 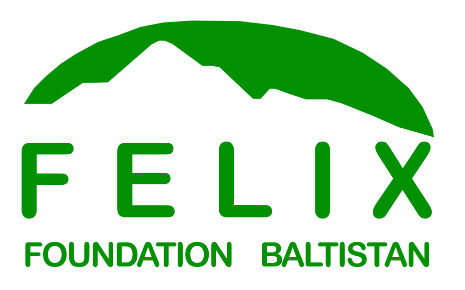 The Felix Foundation Baltistan (FFB) is a non-profit organization working in the Hushe Valley, Baltistan. We invite quotations in sealed envelopes for our Humanitarian Aid Project from registered firms/dealers. Tender forms can be obtained from the FFB head office on Monday 8th Feb 2019 (10:00 AM to 2:00 PM) and tenders will be opened on 9th Feb 2019 at 11:00 am in the FFB head office, Machulo. Tender forms can be obtained from the FFB Head office during office hours. Monday 8th Feb 2019 (10:00 AM to 2:00 PM). Forms will not be issued after the due date and time. Candidates should have the updated/renewed engineering council license. The items’ rates shall be inclusive of all taxes and transportation costs to the FFB office, at the address given below. The FFB reserves the right to accept or reject any or all the bids without assigning any reason. Call deposit fee 2% of total budget should be submitted in respect of Account Title “Humanitarian Aid Project” Acc # PK57NBP A 0888 003151244282. The 2% call deposit in the income of FFB should be attached with the tender form. Each firm will be able to submit only one form under their company. Supply of materials after tender is granted shall be within 30 days. Incomplete bids willll not be accepted. NOC issued between 31st Jan to 8th Feb 2019 from FFB office. Tenders will be opened on 9th Feb 2019 at 11:00 AM. The contractor shall be a Govt. registered firm. The License of Pakistan Engineering Council fee must be submitted for 2019. The contractor shall have a renewable license. Relevant experience of NGOs/Govt. departments is required. NOC required from Felix Foundation Baltistan. Form will only be acceoted from those who have a Govt. registered firm. Attested copies of relevant experience in NGOs/Govt. department certificate must be available at the time of bidding.